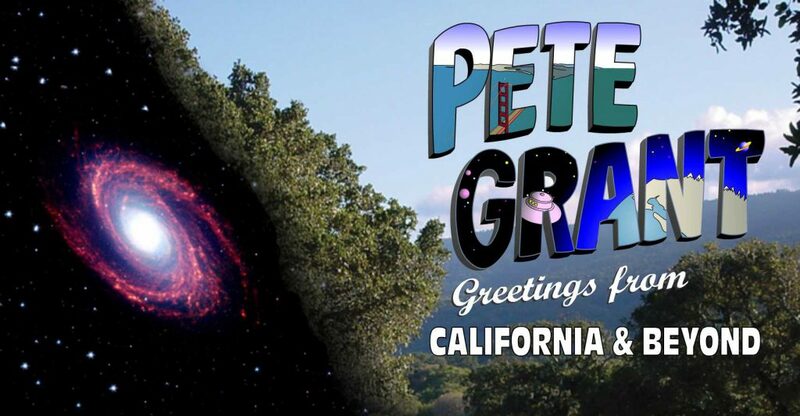 Pete’s recording “Greetings from California and Beyond” is currently out of print. A new pressing is currently being developed. When Phyllis and I moved to Southern California, we took Rodney Crowell’s advice and moved to Sunland. He said it was the closest thing he could find to Austin. Later, when I finally found myself driving to Hollywood twice a day, we moved to – you guessed it —Hollywood! It was there that Graham Nash had his recording studio in the Crossroads of the World, built in 1938 and reportedly the world’s first outdoor shopping mall, but by the 80s it was home for creative industry types and had just been added to the National Registry of Historic Places. I did some song demos there, but had yet to meet Graham, when Mac, his studio manager said “Graham and Stephen are making a record and they want steel on one of their songs. I’ll get you a copy of the basic tracks of the song, and you can record your part on it and give it to me; I’ll give it to Graham.” At that time, I only had a cassette recorder. One of my friends had a studio, and he comped me the studio time—all I had to do was to pay the engineer, so I went in and recorded the proposed steel part. Graham told me that when he heard the opening phrases of my recording he knew that I was the person for the job. I was elated. We booked studio time and I showed up with three pedal steels, including Jerry Garcia’s legendary ZB that he used to record “Teach your Children.” That evening, we never really got what Graham wanted to hear, so I went back to my friend’s studio and did another pass. We had started to gravitate a little bit towards a David Lindley kind of solo, so I gave him two different recordings, one with a pedal steel solo and one with a lap steel solo. This recording is the lap steel one. Somehow, they decided to not use pedal steel and ended up using a fiddle solo. I wasn’t able to go back to the original two track or the original 16 track, so this is a recording of the cassette like the one I made for Graham, so it has a little bit wow and flutter and distortion. Also, the steel is up a little hot in the mix, and maybe the lap steel solo is a little bit edgy for the track. But, as I listen to it, it’s fairly difficult for me to hear what not to like. I guess I just really love pedal steel.